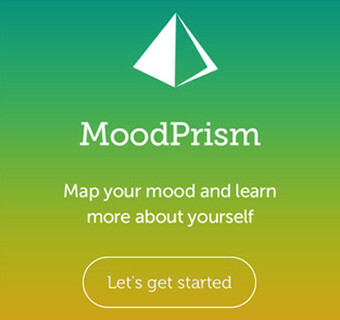 The app is now available on both Android and Apple platforms and can be downloaded easily with a smartphone. 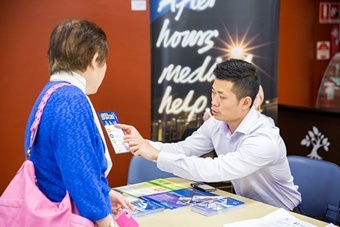 Sydney North Health Network has continued the practical support given to the residents of The Greenway Social Housing Estate at Kirribilli, sited conveniently just 100m from Milsons Point Station. Influenza is frequently and tragically the catalyst for serious complications and death in the elderly and frail aged. An estimated one-in-five of all influenza related hospitalisations in Australia result in death. The Greenway Estate has over 400 residents living in under 1 hectare of land. About 80% are over 70 years old and most live alone. 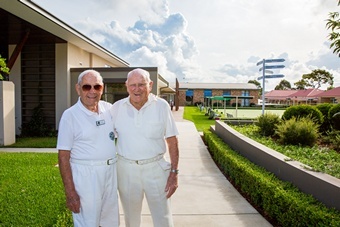 Greenway is a vibrant and colourful community, yet with arguably more health and wellbeing challenges than any other group of residents in Sydney North. Our annual vaccination days, held in the past week, have seen 51 residents receive their free flu shot. This initiative was hosted by the Greenway Wellbeing Centre, an initiative of the Greenway Tenants Group, supported by SNHN and other partner organisations. We and the Tenants’ Group see this initiative as vital for the health and wellbeing of this high density living group of mainly aged residents, many with more than one underlying chronic medical conditions. A flu epidemic within Greenway has the potential for devastating outcomes at both an individual and community level. 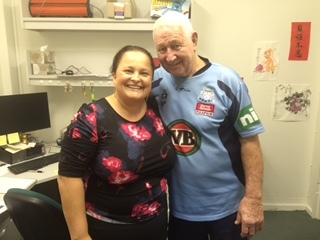 Dr Diana Merhi and staff at the Synergy Medical Practice at St Leonards delivered the service with care and efficiency, and we thank them. 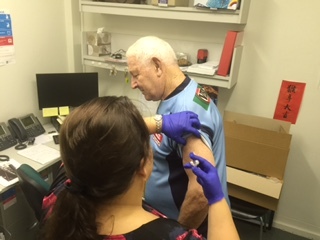 Dr Merhi with one of the Greenway residents taking advantage of the vaccination service. Have you ever wondered how much your lifestyle choices can affect your health or risk of cancer? This clever little lifestyle risk calculator designed by Cancer Australia does just that. Take just 5 minutes to answer the questions and see how your everyday lifestyle choices can affect your risk of cancer. Do you know that organisations like Northside Community Forum and CCNB run a series of training and events for carers and other community health groups. CLICK HERE for CCNB – Community Care & Wellbeing’s events and resources. With the event fully translated in Cantonese and Mandarin, all information and resources shared on the day were well received.